People often warn you to not have all of your eggs in one basket: don’t rely on one social media site to do all of your band’s communication, don’t invest all of your time playing only in one city, don’t depend on the idea that some major record label will launch your career. It’s the same with sources of income for your music. Sure, it takes a lot of work to manage shows, licensing deals, recording/releasing music, merchandising, and to create an online shopping cart for fans (or work with other sites to do that), but the more ways you can allow fans to support you, the safe you’ll be if one of those options don’t pull through. You’re never going to get rich off of Spotify or Pandora streams nor TV or radio broadcasts, but registering for Sound Exchange is still a good idea. Those pennies add up. As a bonus, you can see how often your music has been played in a variety of areas. Not everyone likes t-shirts and CD’s, some might want a tank top or download. Get some variety in your merchandise as well by focusing on items that you think will appeal to your specific target audience. 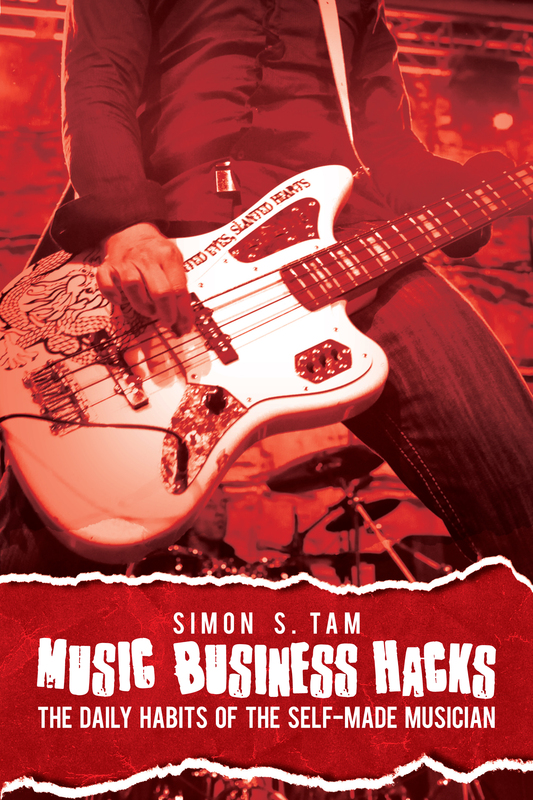 Don’t just sell what every other band is selling. Get creative, don’t be afraid to take some risks. This image, shared by Ventachinkway, exploded on Reddit today. It was a brilliant move to make an important point about what values we hold dear. Of course, the obvious point is that most people are willing to make some contributions so that their entire community doesn’t look bad. However, on a deeper, psychological level, this man was “gamifying” panhandling. People naturally respond to competition. They don’t want their “team” to lose, even the connection is weak at best. They want to win. This is why social media has changed the way we think: people strive for likes, shares, and retweets because it fills a craving in the mind. How can you use gamification to boost engagement? How can you create a little “competition” to increase music sales? In our band, we started creating individual buttons of each member. Fans could buy them individually or as a set. Because we interact with fans so much, they often have a “favorite.” So of course, those are easy to sell. However, when there are an unequal number of buttons for each person, some fans feel bad for the member who isn’t selling and will pick an extra one up. Simple, but it works. There is comfort in the price list and having an inventory. You want to know what comes in and what goes out. You should have a certain price margin to ensure that you’re not losing money with every sale. But that doesn’t mean that rules can’t be bent or broken. What are some creative ways that you can rely on fans to support you? Whatever you decide to do, don’t be afraid to experiment. Use you creativity and find what fits your music career, don’t someone else’s.